As a self-proclaimed scrap quilter you might think that I only sew with scraps. Naturally, that would lead to questions like, "Where do all those scraps come from?" and "How did you get so many scraps?" and even, "Do you ever buy new fabric?" And the answers to those questions are... 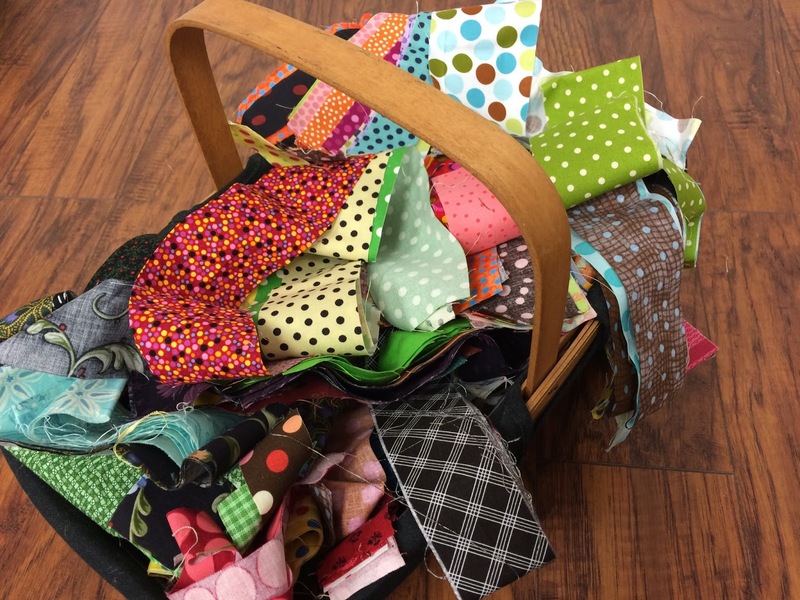 I get most of my scraps from projects I have made, and I have lots of scraps because I have made a great number of projects, and most importantly...HECK YES I buy fabric!!! I buy it all the time. I buy lots of it. I enjoy buying fabric and I don't plan to stop anytime soon just because I have so much already. So that inevitably leads to questions like, "How much fabric do you buy?" and "How do you decide which fabrics to buy?" and "Do you buy pre-cuts or bundles?" I hear these questions often, so I've decided to share a few thoughts about my fabric buying process. You may scoff, thinking, "Does this woman seriously think I need help shopping for fabric?" Clearly, as quilters most of us are very proficient in the fabric shopping arena. So these really are just some things I think about. Not rules, not suggestions, just ideas. I would absolutely love any ideas you might have to share on the subject! 1. I always always always start with my local quilt shop. We must support our local quilt shops or they will go out of business and then we won't have them! That is too terrifying to think about! 2. If you don't have a local quilt shop, shopping online is very convenient. I always try ETSY first to support small fabric businesses. They offer unique varieties and great customer service. 3. I do sometimes shop at large craft retailers, but always be very careful of the quality! While some products are good quality, many are not. It is worth it to me to pay more to get better quality. I'm putting too much time and energy into my quilts to watch them fall apart or fade quickly. 4. 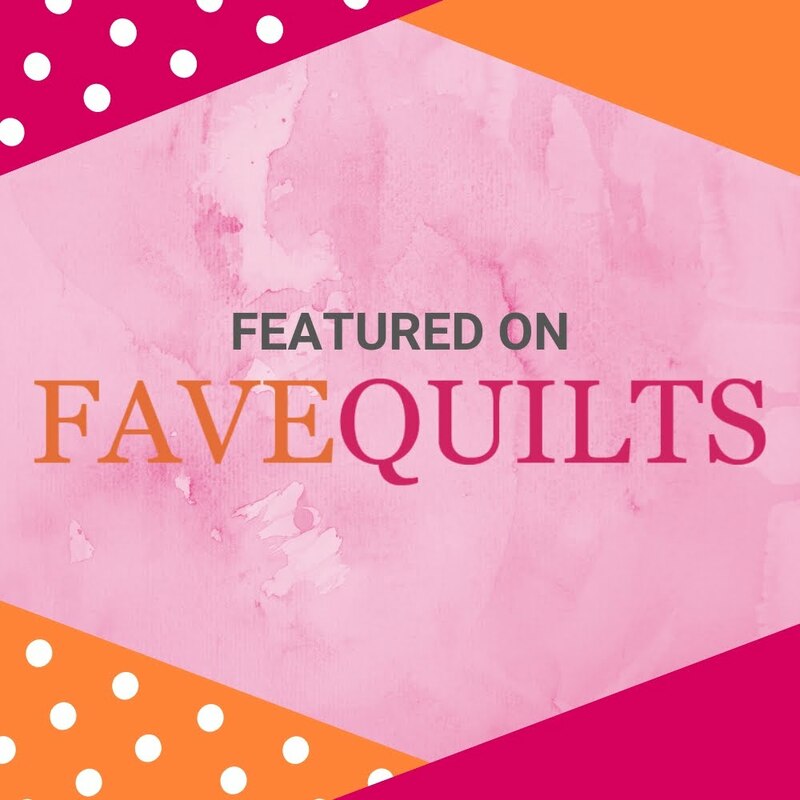 Online quilts shops and fabric sources like Craftsy can be a great place to shop and offer consistently good quality. Follow them on social media to get notifications of sales and special offers. 5. Always shop your stash first. Look at the fabrics you have, maybe a fabric you bought for a border will make a perfect backing, or vice versa. Maybe that background fabric from your last quilt will work perfectly for the lining of the tote bag you're making. You bought the fabric because you love it, now use it! 1. Bring a shopping list! Don't trust yourself to remember how much fabric you will need. Snap a photo of the pattern materials list and that way you'll always have the list on your phone when needed. 2. Bring swatches. I keep small swatches of fabric in my purse if I am looking for more of the same or something to coordinate. It allows me to compare before I buy. 3. Snap a photo of the fabrics at the store. If you are unsure if two or three fabrics work together, taking a photo will help determine 'how they will read' in the quilt. 4. Look in unexpected places. You might find the perfect holiday fabric in the children's fabric section. Or you might find a seasonal fabric that works for a baby quilt. So many fabric lines offer fabrics that can work for other uses. 5. I tend to stay away from fabrics with big motifs or specific prints. I almost never buy a fabric that is clearly for one holiday or one event. I don't think I've ever bought a fabric with Santa on it but I've bought lots of fabrics with trees or hearts. See the difference? I let my patchwork tell the story rather than my fabric prints. 1. If you are on a tight budget, ask yourself, "Do I NEED this before the next payday?" If the answer is, "It can wait." Then wait. You might even find something you like better in the meantime and your budget will thank you! I've found this prevents impulse purchases that I might regret later. 2. If I think a fabric will make a great border, I buy two yards. Rarely will I need more than that for a border. 3. When I find fabrics on sale too great to resist, I buy 5 yards for a backing. I keep about a dozen backings in my stash at all times. Sometimes I will go out and buy one specifically for a quilt, but usually I have something in my backings stash that works. Saves money, saves time...win, win. 4. If I find a fabric that looks like it needs to be a background. I rarely make quilts with just one background, but when I do 1 1/2 to 2 yards is plenty. I make big quilts. 5. If I fall in love with a fabric but have no idea how I will use it, I buy a half yard. That's enough to work it into a quilt and have some left over for the scrap bin. 1. I rarely buy precuts such as jelly rolls or charm packs. It makes me feel limited and I almost never make a quilt out of one fabric line. I mix everything together, so these don't necessarily work best for me. Having said that, if I LOVE it, I buy it. 2. I'm a sucker for pretty bundles and I buy them frequently. Resistance is futile. I love bundles because of the variety. I find that fat 1/8th bundles work best for me. I can cut strips or squares and get loads of variety for less money. 3. My second favorite bundles are fat quarter bundles. While the large ones are pricey, and I don't typically buy then, I do like the smaller ones that feature a dozen or so fabrics. 4. I always look for good stash builders. Like a bundle of dots, or checks, or tone on tones. Those can be good blenders and add variety to any project. 5. I look for bundles that have been combined using several lines of fabric. A theme bundle, like one color or 'low volume' always appeals to me. I look for bundles that look like they will go with what I have without repeating it too much. And that is where I start my shopping process. I keep these basics in mind when I'm fabric shopping. What do you do? 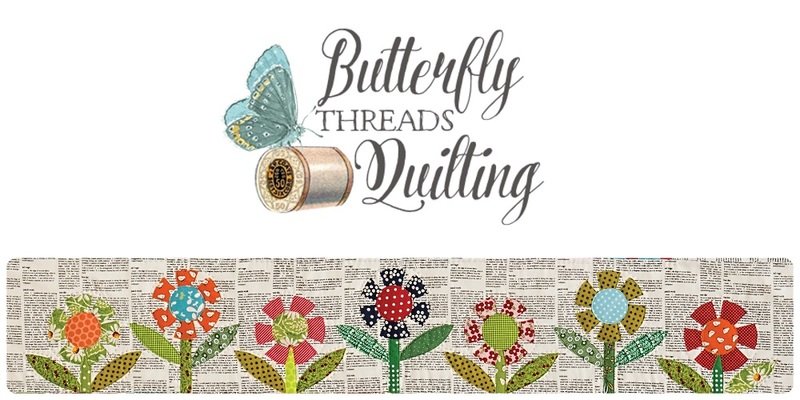 I would love to hear your thoughts on fabric shopping, please leave a comment telling me, it'll make my day! Great post Diane and i'm comforted by it ! I always look at my stash before buying fabrics ! 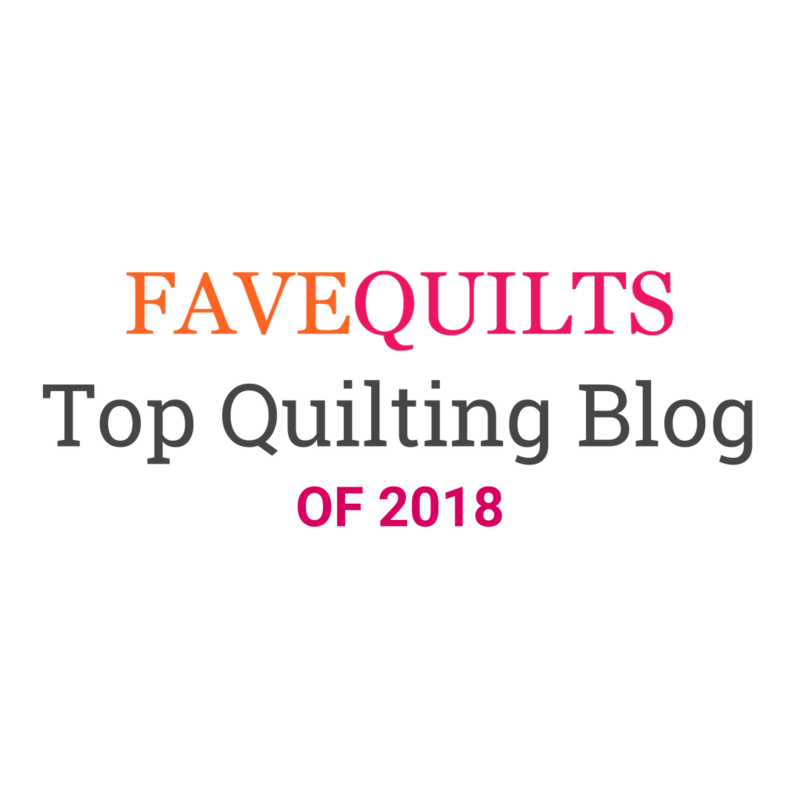 Unfortunately I haven't a local quilt shop close to my house so I always ordered online....I love fat quarter bundles, charmpacks,and if I fall in love with a fabric, one yard is the best for me ! This is what happened in Paducah last April....I fell in love many times ! Ah ! Ah ! Since I'm a scrappy quilt maker (and that's as much about using lots of different fabrics in a quilt as it is about using scraps), I tend to buy small amounts, too. I love that both of my local quilt stores are willing to cut fat quarters for me; I'll make up for buying smaller cuts of fabric by buying lots of them! I usually only buy larger amounts of fabric when I'm buying backing or borders. If I love a fabric I usually only buy a yard, unless I knew it's a fabric that will make great borders, then I buy 2 yards. My other shopping tip is to look for textiles at estate sales and thrift stores. I love vintage sheets, towels, hankies, etc. And if you like plaids and stripes, 100% cotton men's shirts from estate sales or thrift stores are great buys! I LOVED reading this! I was planning a post on almost the same subject as it came up at the guild meeting lecture. I buy fabric pretty much the same way you do. I know the quilts I lean toward making and their sizes, amounts I use, and if I would like scraps left over. I tend to buy fat 1/8's if available or fat quarters Like you, I buy 2 yards for borders. If it is a real fun fabric that I have no clue what to do with it but I'm totally in love with it, I will buy 5 yards. I'll usually get a backing as well as a bag of some sort out of it. I hav never not used one of those fabrics. It's interesting to learn about others shopping tactics. I agree the importance of shopping LQS if a quilter can and also trying to only use the best quality materials that we can afford. It's a shame to work hard on something that lasts only a short time. Variety keeps quilts interesting so I'm generally not a precut buyer, but they look lovely. I'm a 3 yard buyer for borders and a 6 yard collector for backings. It's great to have a stash and important to use it. Putting a whole quilt together from the fabric bins is a gratifying experience. I think having a good variety in your stash is one of the most important things in quilting! It's like a painter having all the colors on their palette! I have been buying more fat quarters lately especially when I just need a little bit of something. Sometimes I wish I bought more but there are always new lines of fabric coming out to use! Exactly!!! I couldn't agree more Kelly! good topic! I agree with Kelly - variety is a key in my stash too. I enjoyed reading your post about fabric shopping. Just yesterday, I went to a local quilt shop with thousands of bolts of fabric but did not find what I had in mind (which lead to online shopping). I did find two background fabrics that would work well together but I have nothing in mind for them at the current time. I decided that there is always another great line of fabric coming just around the corner and decided to wait until I had a definite plan before an impulse purchase. This was fun reading. Thanks. What a fabulous post Diane.. so many GREAT hints!! Being a small quilt maker and loving making scrappy quilts, i tend to buy a lot of FQ's and fat 1/8ths, which means i don't overspend and i still come home with a great variety of fabrics in smaller quantities. In saying that, i am always on the lookout for discounted and discontinued lines of my fave prints and that's when i'll buy 1-3 metres of it. Isn't fabric buying just the loveliest addiction lol!! Fun post. I have not done much fabric shopping lately, trying to shop my stash most often. I have was able to use up some pre-cuts last year which was a great guilt reducer and a reminder of what not to buy! This year I am hoping to reduce my stash of background prints with a few appliqué projects and to make space for some purchasing at the show in Sisters this summer. My wise ol' friend who taught me to quilt uses fitted sheets as her backing, that is what I have done. I can find them on a good deal and they work great! !